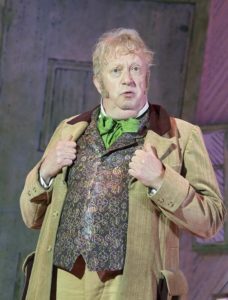 You probably know Mark Williams best as Arthur Weasley in the blockbuster Harry Potter film series, or possibly from TV’s The Fast Show. 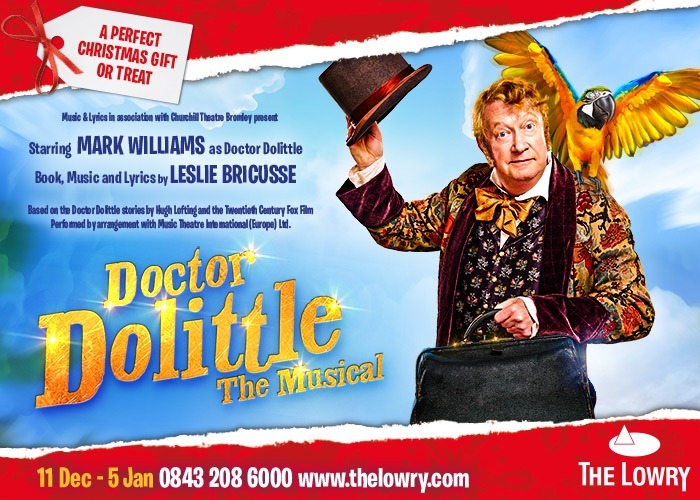 But the actor, who stars as Doctor Dolittle in the new production at The Lowry in Salford, is adamant that he’s a British character actor, not a star, and certainly not a comedian. “I’ve never been a stand-up and I did The Fast Show more than 20 years ago,” he says. He is, he insists, looking forward to the acting challenge of playing the eponymous Doctor, who can talk to animals and, accompanied by friends including Polynesia the parrot, heads off to Sea-Star Island in search of The Great Pink Sea-Snail, eventually – spoiler alert! – flying back to England on The Giant Lunar Moth. This new production of the show is part of the 50th anniversary celebration of the film version starring Rex Harrison with book, music and lyrics by double Academy Award-winner Leslie Bricusse. William has also been inspired, he says, by Hugh Lofting, the man who wrote the original children’s books based on his illustrated letters to children, written from the trenches during the First World War when actual news, he later said, was either too horrible or too dull. Williams started his professional acting career here in the North with Mikron, the Marsden-based theatre company who tour to, as they say “anywhere for everyone” by canal and river. Mikron, where the actors do pretty much everything, from cleaning the boat to erecting the set, was a useful early introduction to “the glamour of showbiz”. 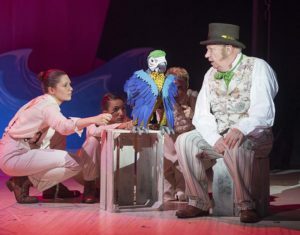 As well as working alongside the likes of Brian Capron as Albert Blossom/Straight Arrow, Vicky Entwistle as Polynesia, Adèle Anderson as Lady Bellowes/Poison Arrow, Mollie Melia-Redgrave as Emma Fairfax and Patrick Sullivan as Matthew Mugg, Williams also finds himself working with some highly sophisticated puppets. Nor does having to sing on stage hold any terrors for him, I learn. “No, I was a chorister as a kid. 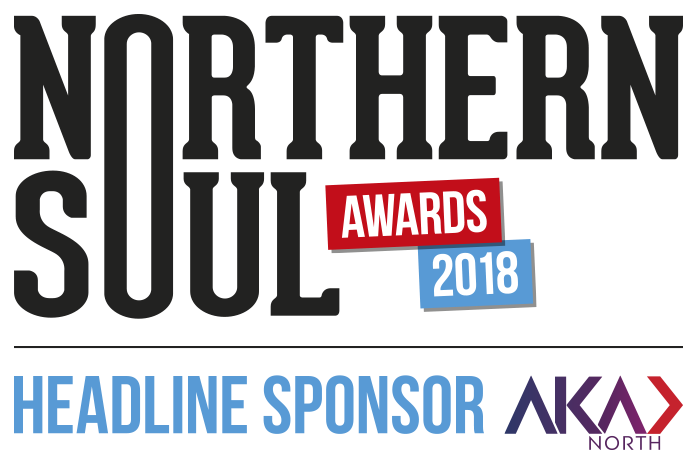 I sang with Mikron, my dad was a jazz guitarist, a friend of mine Adrian and I had a band called Clean Vest – you had to be there. So, I’m looking forward to it and they’re great songs. Leslie Bricusse is the greatest living songwriter really, in terms of musical theatre and film. You’d be amazed at the songs he wrote like My Old Man’s a Dustman, Willie Wonka…”. Remarkably, he’s still working, and he’s even written a new song for our show. 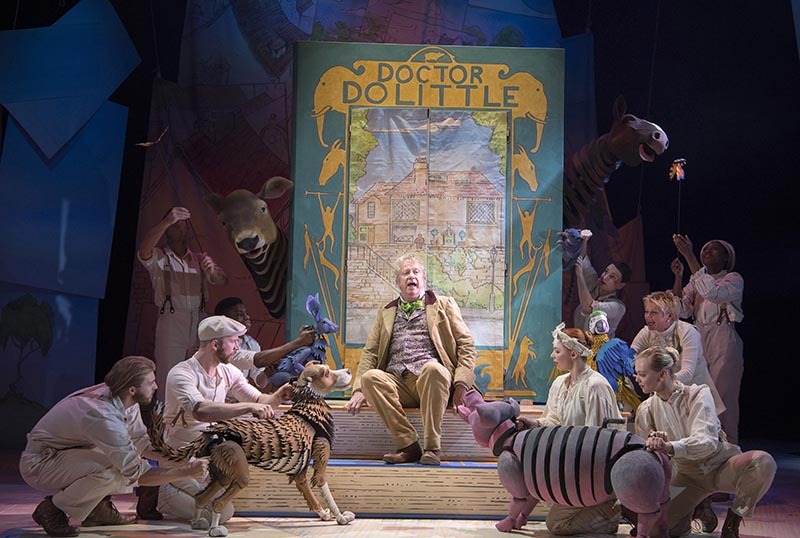 So, why should people come and see Doctor Dolittle? Doctor Dolittle is at The Lowry, Salford until January 5, 2019. 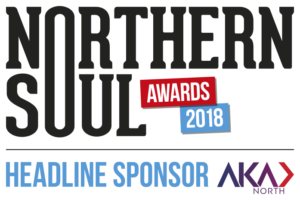 For more information or to book tickets, click here.